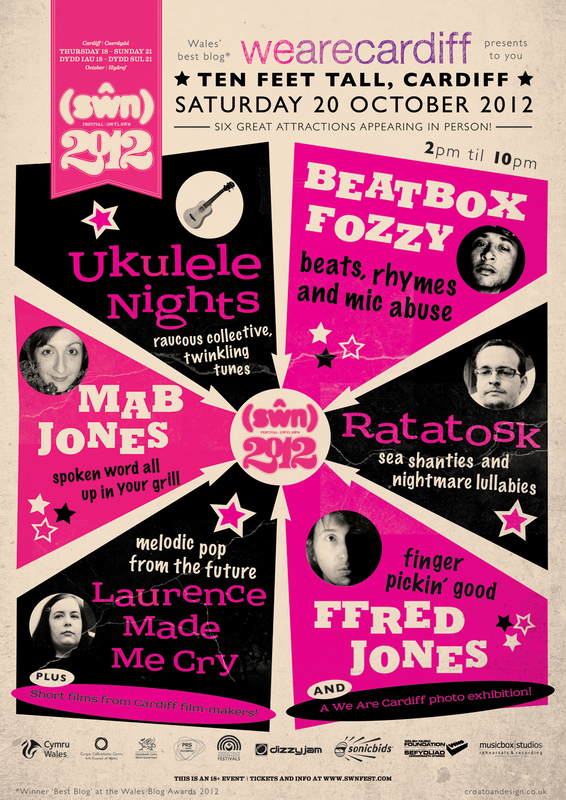 Not sure if we mentioned it or not, but we’re curating a stage at this year’s Cardiff-based musical cornucopia – SWN FESTIVAL! In the run up to the festival, we’re going to be running short profiles on each of the lovely people performing on our stage. Today, we’d like to introduce you to Madame Mab Jones. 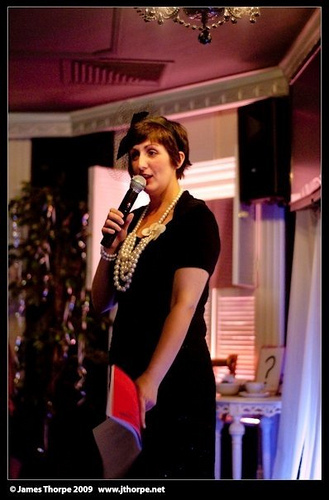 Mab has been involved with We Are Cardiff before – you can read her story here. Q. You’re performing on the WAC stage at Swn this year! Can you describe yourself as a performer? What can people expect? A. I’m a modern-day Pam Ayres with a penchant for the political; a naughty-but-nice Welsh ‘lady’ who enjoysentertaining with raw, rude, ribald rhyme. I’ve performed at the Comedy Store, Leicester Comedy Festival, in the USA, Japan, on BBC Radio 4, at Latitude, Green Man, and many, many more. People can expect “delightful comic verse, articulate and imaginative” (Three Weeks, Edinburgh Fringe review). A. It’s pretty good, with regular nights at Tommy’s Bar and National Theatre Wales’s Word 4 Word. There are some cool events at Gremlin Alley, the squat on City Road. And I also organise the odd event through my spoken word collective Jam Bones. Q. Any local spoken word artists you’d tip for people to see? A. My favourite Cardiff spoken word artists are Jack Pascoe, Liam Johnson, Nicholas Whitehead, Will Ford, and Steven Kenward. Q. What’s your favourite thing to do in Cardiff? A. My favourite thing is trying different types of world food – there are lots of good eateries in the Diff these days. A. I’ve been to bits of the festival before, and seen lots of great bands. I think this time I’m mostly looking forward to seeing The Lovely Eggs, who I missed in Cardiff earlier in the year. Q. If people want to check out your stuff online, where can they do that? A. They can look at my website, www.mabjones.com. Or else they can google me and see a lot of things I never approved and don’t like come up *sigh* **wink**.